JGB250B Paua / Starfish Bracelet - Turq.JGB37D Paua & Coco Shell Bracelet - Turq. Stretch bracelet with paua & coco shell. 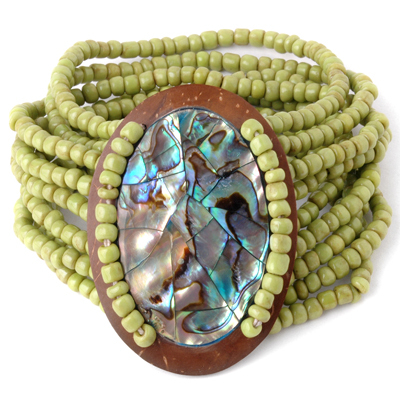 Description Stretch bracelet with paua & coco shell.